SCKSF 2009 / ALMOST THERE! 2 Stand up b site"
Thanks Dennis! All the best for the event! Joey Hall e Spencer Cooke, dois habituais colaboradores do kayaksurf.net (ambos já entrevistados por nós), estão a organizar as provas de selecção para formarem a equipa da costa Este dos EUA que virá até Portugal para o Mundial. Joey enviou-nos algumas fotos do evento do passado fim de semana e o link para os resultados está mais em baixo. 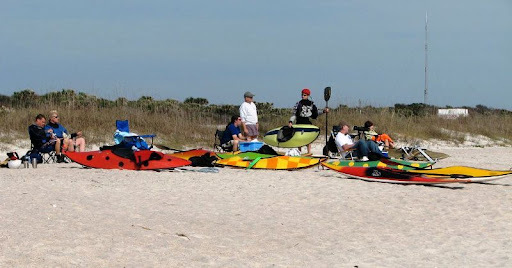 Last weekend the ESKA held the 2009 Team Trials for the US East Surf Kayak Team at Hannah Park in Jacksonville, FL. Selection for the Men’s and Masters divisions were completed. 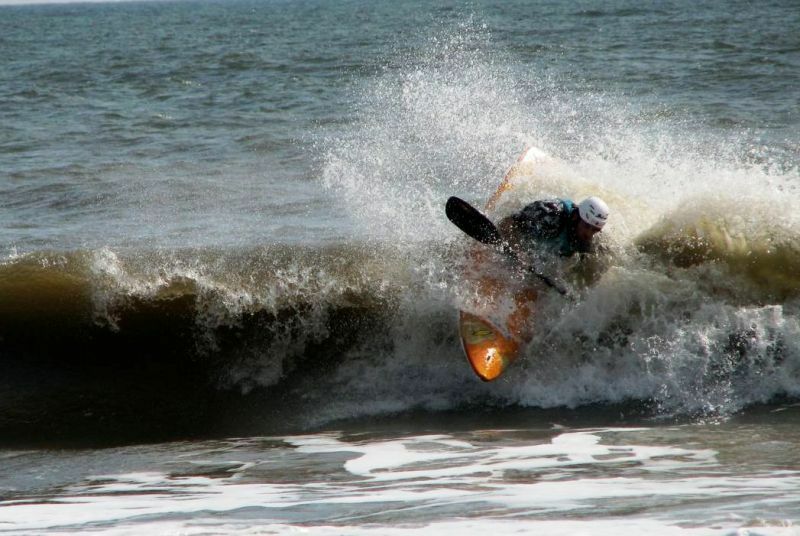 The US East Team will participate in the 2009 World Surf Kayak Championships in Portugal this summer. A data da festa está cada vez mais próxima e as notícias fluem todos os dias. Desta vez, vamos dar a conhecer alguns locais que podem dar jeito para quem queira passar uma semana de luxo em Santa Cruz para participar ou assistir ao Mundial. Check it out! 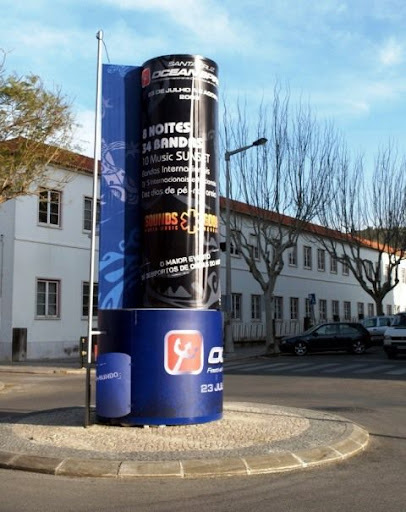 More places to stay in Santa Cruz, Torres Vedras, Portugal. Houses and apartments to rent and all the contacts. Familiar house, in front of the sea, 5 min by foot to the beach, barbecue, garden with parking - 35€/per day. STOCK WATERTECH / BOAS OPORTUNIDADES E NOVINHOS EM FOLHA! Já saiu a edição de Fevereiro da FREE SURF e, graças à parceria entre a primeira revista de surf gratuita do país e o kayaksurf.net, aí estão as primeiras notícias publicadas sobre o kayaksurf & waveski nacionais. 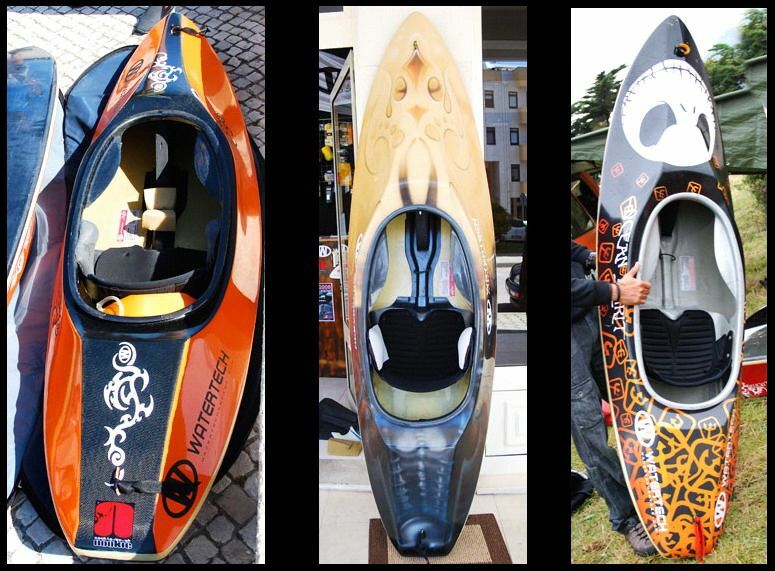 Para inaugurar a secção kayaksurf.net, dois temas incontornáveis: Mundial de Kayaksurf e Kayaksurf Session. 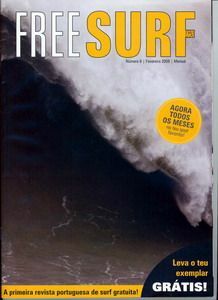 Basta procurar a revista nas melhores lojas de surf do país, associações académicas e Sport Zone. Thanks to the partnership between FREE SURF MAG and kayaksurf.net, now all editions will have a special section about kayaksurf and waveski. 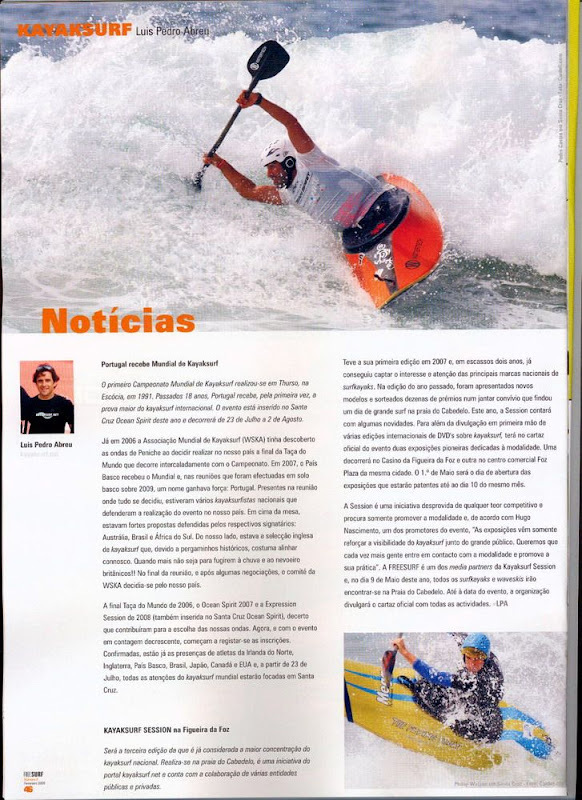 This month edition is focused on the World Kayaksurf Championship in Portugal and the Kayaksurf Session in Figueira da Foz. Descobrimos Marc Woolward devido às grandes fotos de Caroline Janganant, sua mulher. De facto, para além de ser um talentoso kayaksurfista, Marc tem a sorte de ter casado com uma grande fotógrafa. Este inglês de 39 anos só descobriu o kayaksurf em 2004 devido a uma visita casual à fábrica da Mega. 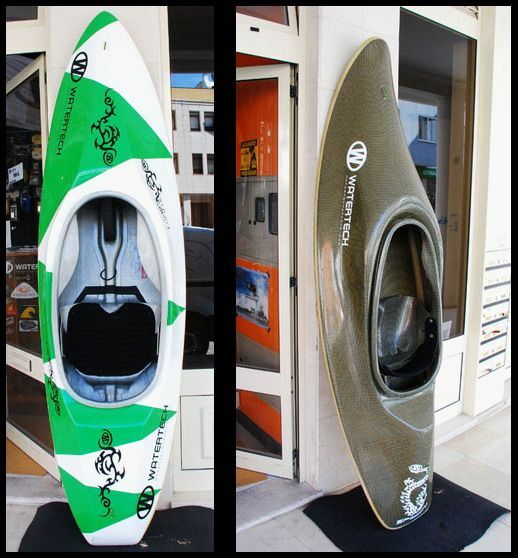 A partir daí, Marc – que já pagaiava kayaks de mar – rendeu-se ao kayaksurf. Surfa habitualmente por Cornwall com Sam Davenport - vencedor da Taça do Mundo 2008 - e Jack Barker (ambos da selecção inglesa de kayaksurf). 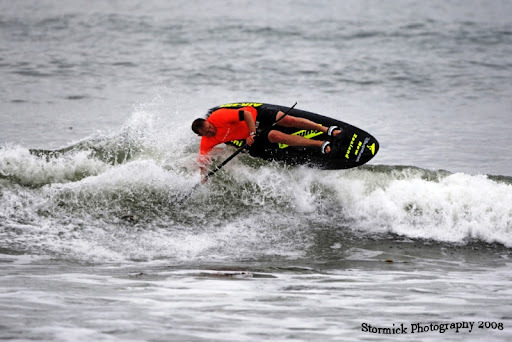 Não gosta particularmente de competir mas, mesmo assim, sacou um 5º lugar em HP no ano passado na maior prova do mundo do kayaksurf: Santa Cruz Kayaksurf Festival, Califórnia. Adora viajar de kayak na bagagem e gostou bastante da Taça do Mundo do ano passado em França. Começou pelo bodyboard, passou para os kayaks e agora quer experimentar o kneeboard. Já surfou pelos EUA, Marrocos, Irlanda do Norte, País Basco, Portugal, França (…) e adora as ondas da Califórnia, Mundaka e Marrocos. E quanto a uma nova visita ao nosso país? É já este ano! Temos grandes fotos de Marc tiradas em Santa Cruz, Hawaii e Marrocos. Vamos começar pela viagem africana que o casal fez no início deste ano. Meet Marc Woolward, our newest member of the "News Team". 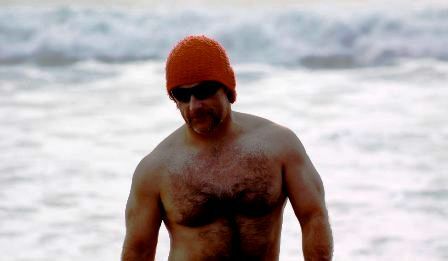 He sent us several photos from Santa Cruz, Hawaii and Morocco. 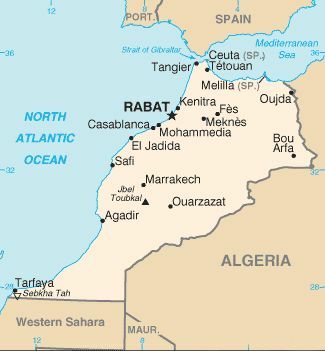 Let's see the first package from Morocco (surf trip, January 2009). 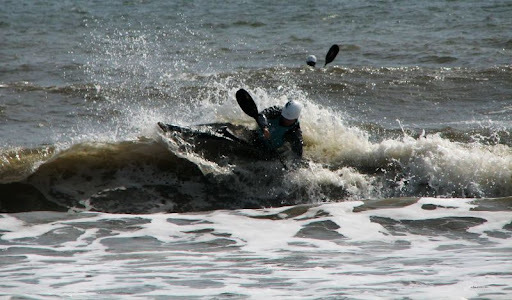 Address: I live in Brighton on the Southcoast of England, where I coach surf kayaking at Martlet Kayak Club. The waves are inconsistent, weak, and small here but you can still find some super fun, fast waves if you are at the right place at the right time (a Brighton secret) and there is a growing crew of keen surf kayakers down here. 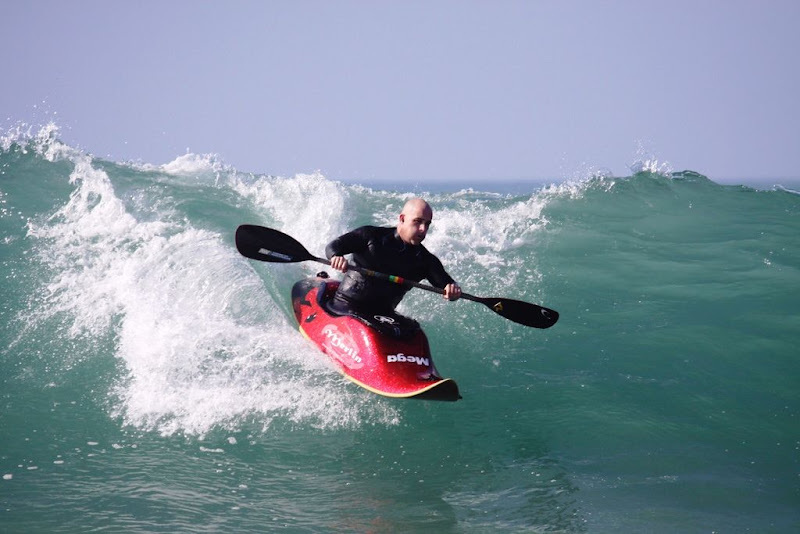 I travel to Bude in Cornwall (the new home of Mega kayaks) for most of my surfing, and have been regularly surfing with Sam Davenport and Jack Barker from the England team this winter. Paddling since: I first sat in a kayak in 2001, at the grand old age of 31. 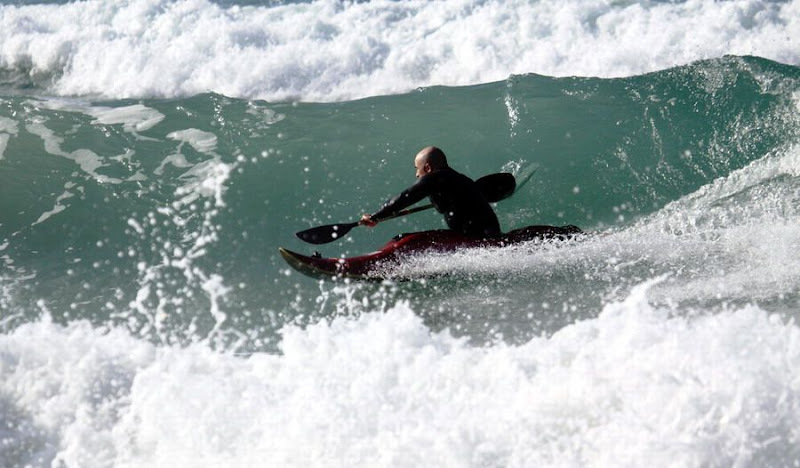 I was a keen bodyboarder and kayaking was a way to be in the ocean when there were no waves. I was older then than most of the guys I surf with now, guess I was a late developer. Kayaksurf since: I played in the sea since 2001, but I suppose I started surf kayaking from 2004 following my first visit to the Mega factory. I was really, really bad for a couple of years after that. 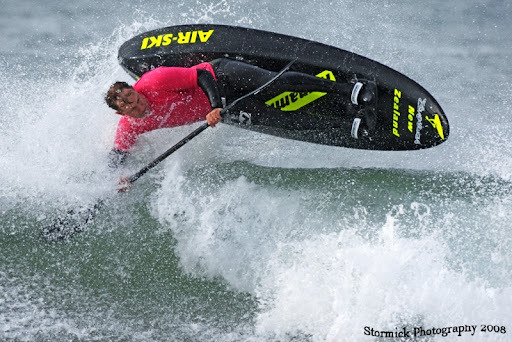 Best results in the competition scene: For me, competition is only a very small part of the sport - I don't particularly enjoy the (self imposed) pressure or rarely surf to my potential. 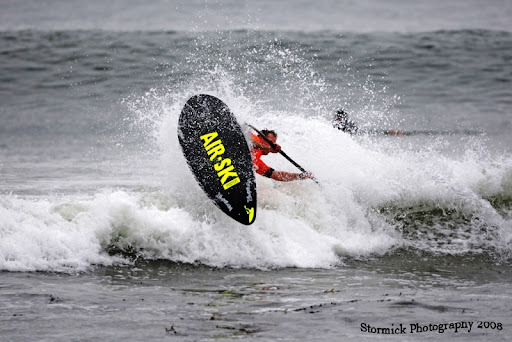 I only started to compete at the suggestion of Buck Johnson to surf Steamer Lane without the usual hassles (at SCSKF). I was therefore really stoked to place 5th in the HP Open Division at 2008 SCSKF. The waves were big, heavy, and challenging and the standard of competition really high so I was really proud to do so well. 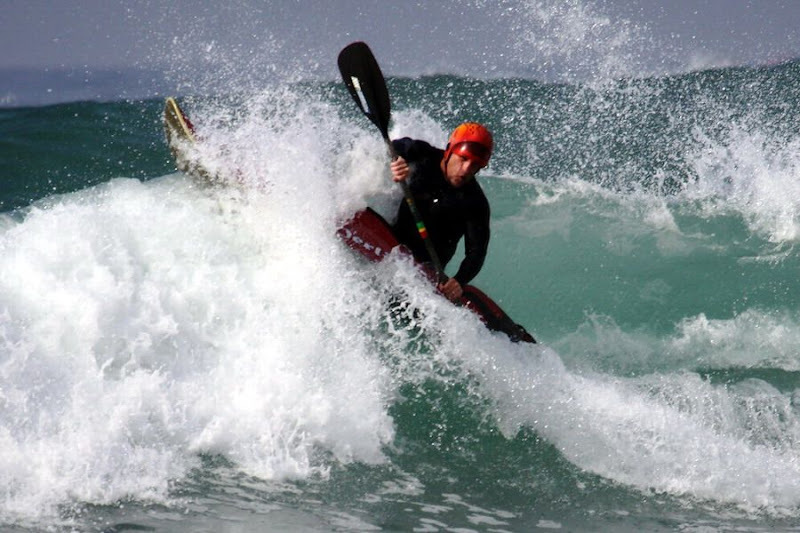 The sport of Surf kayaking is about travel, discovery, meeting new friends and being in the ocean although I'll always try to be at the Santa Cruz festival which is a great celebration of our sport. I also love the idea of the Worldcup (I placed 7th in the British qualifying heat in 2008) if we can continue to take it to the best spots on the planet. Other sports: When its flat, I get my adrenaline fix from Mountain Biking, a nice downhill section releases those same endorphins! To improve my surfing, I'm learning yoga with Caroline although years of lifting weights hasn't improved my flexibility! I still run whitewater on occasion although I prefer to kayak my previous favorite bodyboarding waves now, and I'm also inspired by Buck to try kneeboarding soon. Countries where you have been kayaksurfing: Travelling to new places is an essential part of the sport for me. I have been lucky enough to spend a lot of time surfing in Northern California which is an awesome place to learn the sport from some of the best in the world. 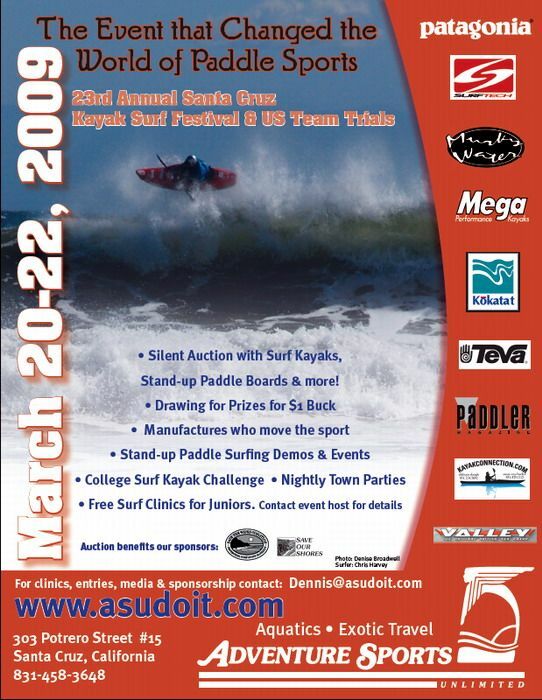 I have also kayak surfed several times in Morocco, France (Ille d'Olleron for the Worldcup), Basque Country (Bakio and Mundaka), Ireland, Jersey, and had a great adventure in Baja in 2007 with Buck and Mark Pastick. 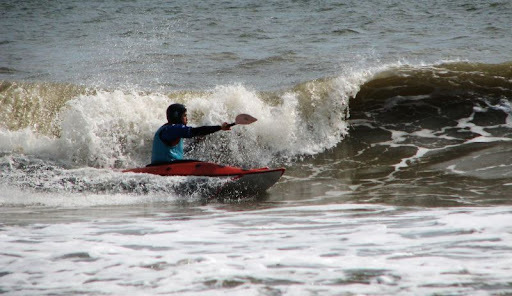 I have board surfed in Portugal and the Caribbean, and would love to return with a kayak. 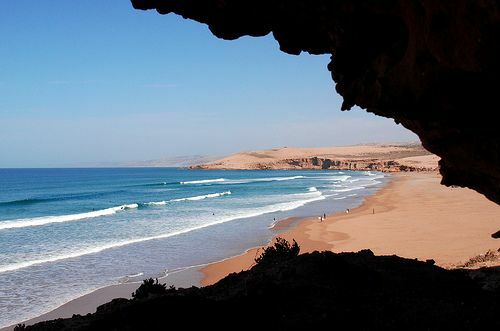 My favorite waves would include Indicator Point at Santa Cruz, Moss Landing on Monterey Bay, Kilcummin and Easky in Ireland, Mundaka, and the reefs between Anka Point and Killers in Morocco. Personal website: Too busy surfing to build a website :-), but can be found Facebook or starting trouble on Boatertalk Surfzone. And about the Worlds in Portugal... do you come till here? I do plan to take a trip out to Portugal very soon, although whether I can make it to the Worlds is still a question. 2009 will be a year of many changes for me and time will tell if I can make a trip in the middle of Summer. I will let you know, Luis. 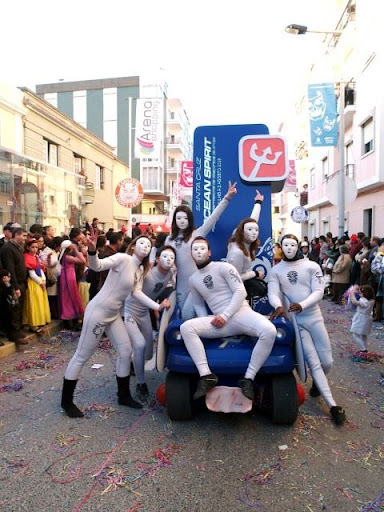 A máquina promocional do Ocean Spirit não deixou passar em claro o corso carnavalesco de Torres Vedras (conforme já aqui tínhamos noticiado) e o Festival teve direito a várias acções de promoção durante os dias da grande festa. 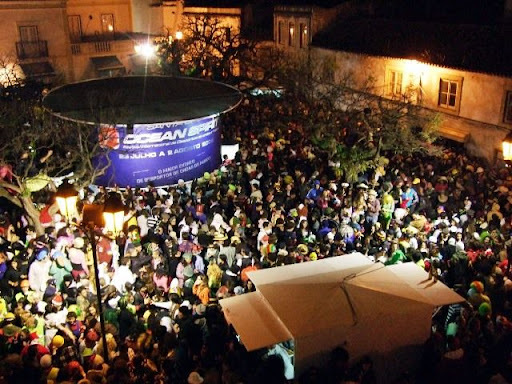 Afluiram a Torres Vedras 350.000 visitantes em busca de um dos mais emblemáticos corsos carnavalescos do país e o Carro Ocean Spirit lá esteve a cumprir a sua função: promover o maior evento de desportos de ondas do mundo. 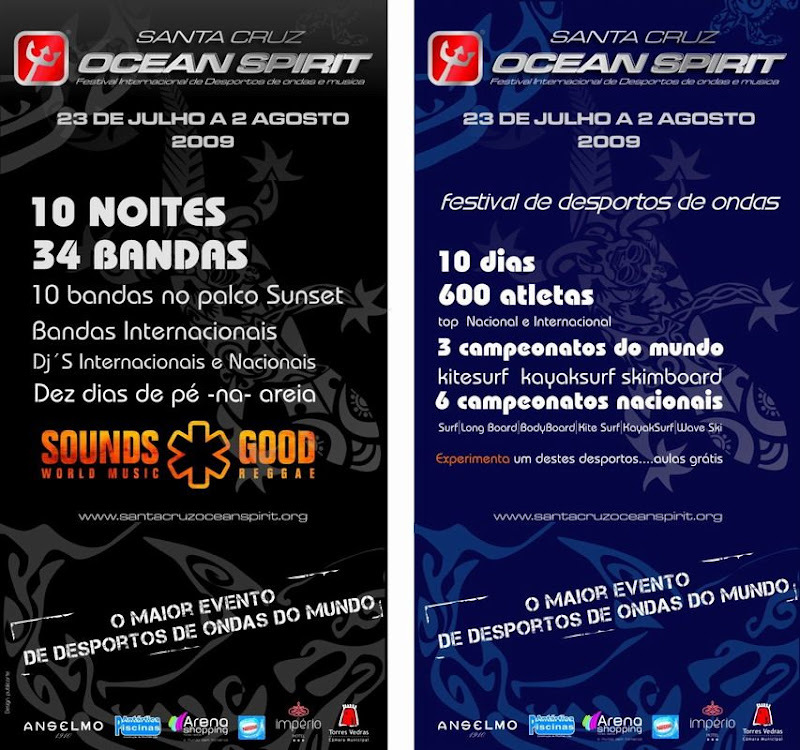 Ao todo, 6 promotores, 1 carro Ocean Spirit e milhares de flyers distribuídos. 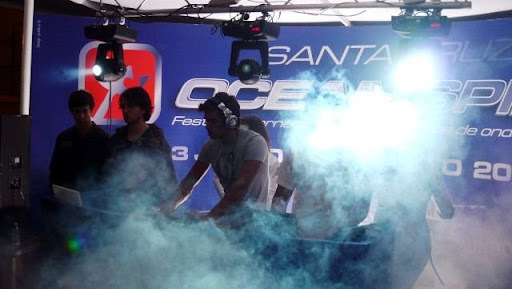 Para animar a festa, o DJ Kura foi dando música para antecipar o grande festival que terá início em Julho. Aqui ficam algumas das fotos que nos chegaram. 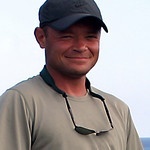 Nigel Law e a sua http://www.savannahcanoeandkayak.com/ estão a organizar mais uma formação com a chancela da poderosa Associação Americana de Canoagem. A empresa sediada na costa Este dos EUA, promove ao longo do ano várias formações certificadas quer pela American Canoe Association, quer pela British Canoe Union. Esta é só mais um exemplo e o kayaksurf.net tem todo o orgulho em associar-se à iniciativa. Como tal, aqui está o merecido destaque. 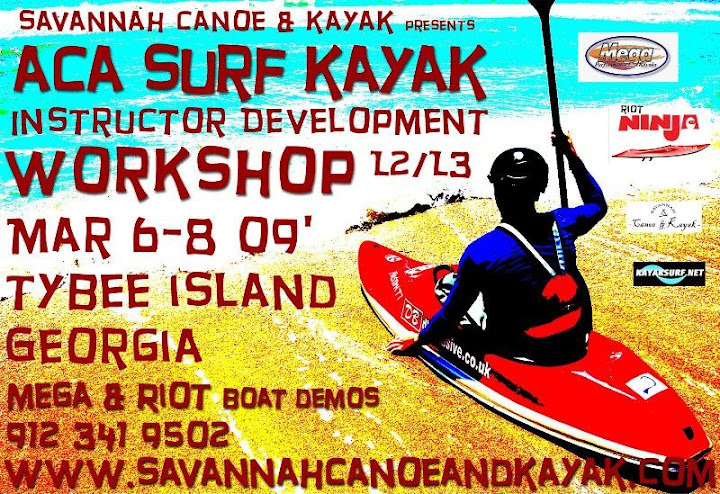 Savannah Canoe and Kayak, is the answer to your paddling needs on the Georgia Coast. 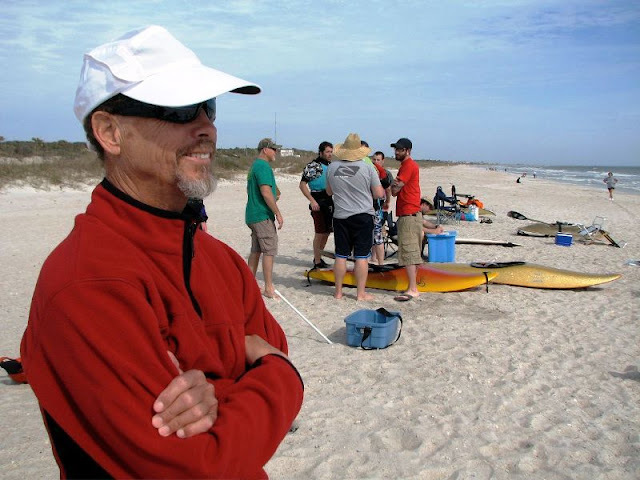 Owned and operated by Kristin and Nigel Law, Savannah Canoe and Kayak provides top quality canoeing and kayaking instruction, guided tours, and camping adventures to the barrier islands of the Georgia Coast. Our lesson and tour services are unparalleled in professionalism, yet are relaxed and informal. 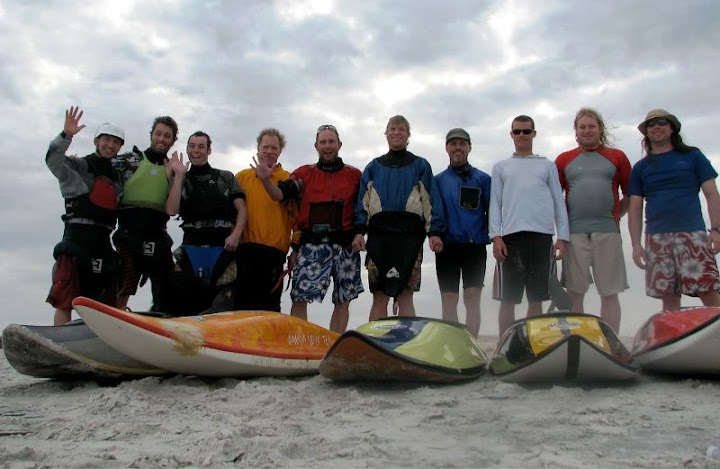 We use our paddling adventures as a tool to educate and inform others on our dynamic marine environment. No trip to Savannah is complete until you've experienced the unique culture and natural beauty of the Georgia Coast! com os seguintes dados: NOME, DATA NASCIMENTO, B.I. Nº , DATA EMISSÃO, ARQUIVO DE IDENTIFICAÇÃO, NIF, CONTACTO (e-mail e telefone), deverão também enviar confirmação para jantar do participante e acompanhante (s). É feita a transferência para uma conta que será indicada posteriormente. Podem saber mais sobre a Comissão AQUI! Chris Harvey, que ainda na semana passada andava por Israel a dar formação, está de regresso a casa e voltou aos treinos. Uma pequena amostra do craque inglês a surfar este fim de semana algures para o norte de Guernsey. Aproveitamos a sugestão de Chris para vermos outros dois kayaksurfistas ingleses em acção: Jack Barker e Tim Holland nos seus MERLINS da Mega. Chris continua fiel ao seu Mega REFLEX. Two new movies: Chris Harvey surfing this weekend a nice clean swell and some awesome lefts and Jack Barker and Tim Holland surfing Mega Merlin Surf Kayaks at Summerleaze Beach, Bude. In 3 - 5 foot surf. Enjoy it and don't forget to visit our kayaksurf and waveski film sections. Link below! É o segundo pack de fotos que Dom nos enviou graças à parceria kayaksurf.net / dlphotopets.com de Dominick Lemarie. Juntemos os craques que Dom habitualmente fotografa e a sua mestria como fotógrafo e SÓ podemos ter grandes fotos!! 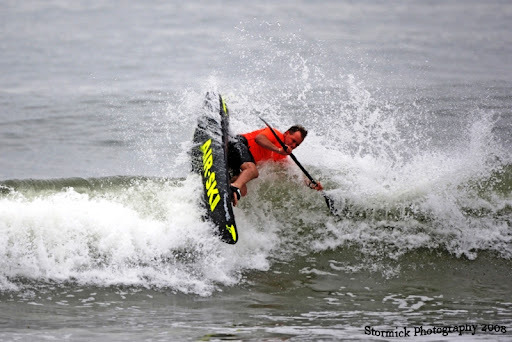 Tony Cherry, winner of the US Waveski Open 2008, is actually ranked on the 7th position of the Top 32 / World Waveski Surfing Association. These pics are from Dominick - http://www.dlphotopets.com/ - Enjoy it! !